U.S. Army Sgt. 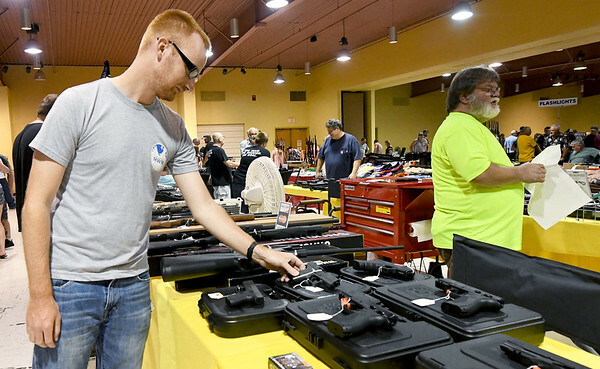 Ethan Severance, formerly of Webb City, now serving at Fort Eustis, Va., checks out the selection of guns at the RK Gun Show on Saturday at the Joplin Convention Center. The show continues today from 9 am to 3 pm.